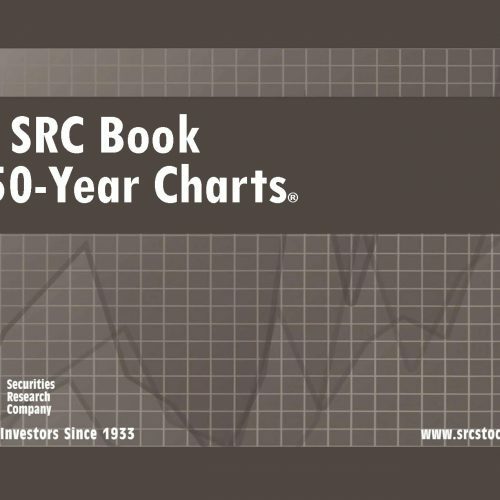 The SRC Blue Book has been expanded and now includes the 21-Month Charts for the S&P 500, the Dow 65, and the NASDAQ 100. In addition, the Blue Book covers 2,200 of the most widely traded companies on the NYSE and NASDAQ in SRC’s 12-Year Chart format. You will receive a latest copy of the print edition when you order the Blue Book – which publishes in Jan/April/July/Oct. An annual subscription is also available and includes all four quarterly issues of the Blue Book PLUS online access to ChartScreen for one full year. 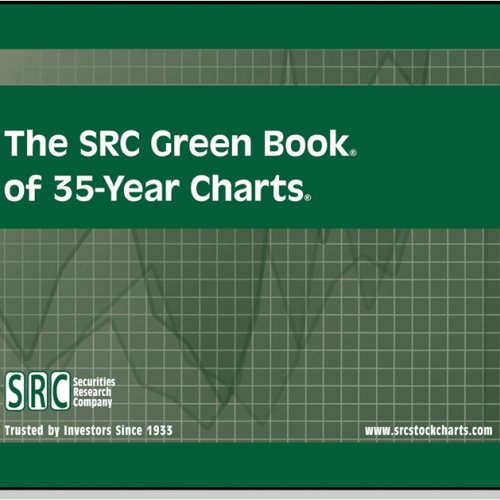 A trusted resource since 1933, the The SRC Blue Book has been expanded and now includes the 21-Month Charts for the S&P 500, the Dow 65, and the NASDAQ 100. 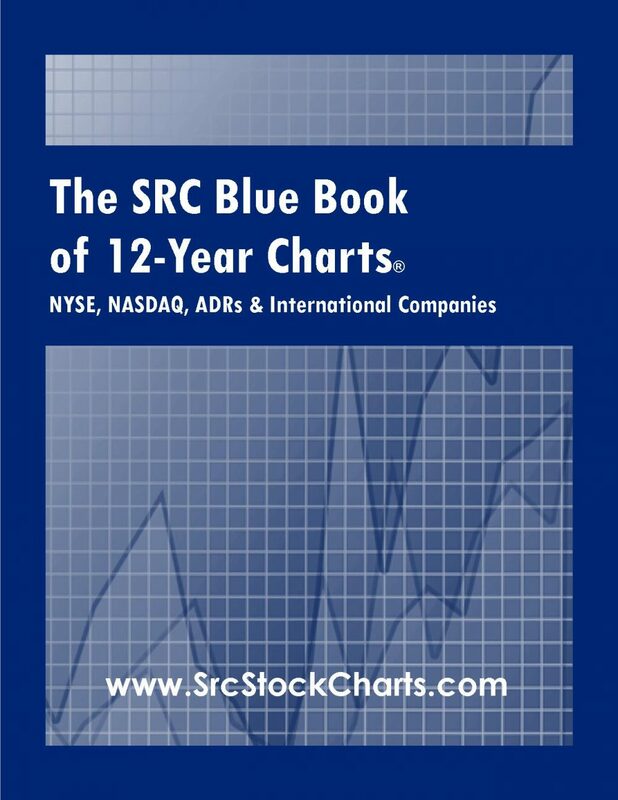 In addition, the Blue Book covers 2,200 of the most widely traded companies on the NYSE and NASDAQ in SRC’s 12-Year Chart format. You will receive a latest copy of the print edition when you order the Blue Book – which publishes in Jan/April/July/Oct. Four quarterly hard copy print books which publish in Jan/April/July/Oct. 4,000 companies in the 12-Year format. To view the 12-Year DJIA Charts click here. 650 companies in the 21-Month format. To view the 21-Month DJIA Charts click here. And 4,500 companies in the Daily (52-Week) format. To view the 52-Week DJIA Charts click here.